Mrs Bishop's Bakes and Banter: BritMums Live Blogging Conference 2014: I'm Going! BritMums Live Blogging Conference 2014: I'm Going! For those of you who haven't heard of it BritMums Live is the UK's biggest social media and blogger conference held each year in London for Mummy and Daddy bloggers to meet up, network with brands and hear inspirational speakers over a two day weekend. This years BritMums is being held on Friday 20th and Saturday 21st June at The Brewery, London, EC1Y 4SD. I am attending BritMums Live this year for the first time, and can't wait…I wanted to introduce myself to those bloggers who are also going along…so here is my meme for the BritMums Live linky. I drink tea. A lot. Here I am with my little Bert! Eyes: Blue with tortoiseshell glasses! 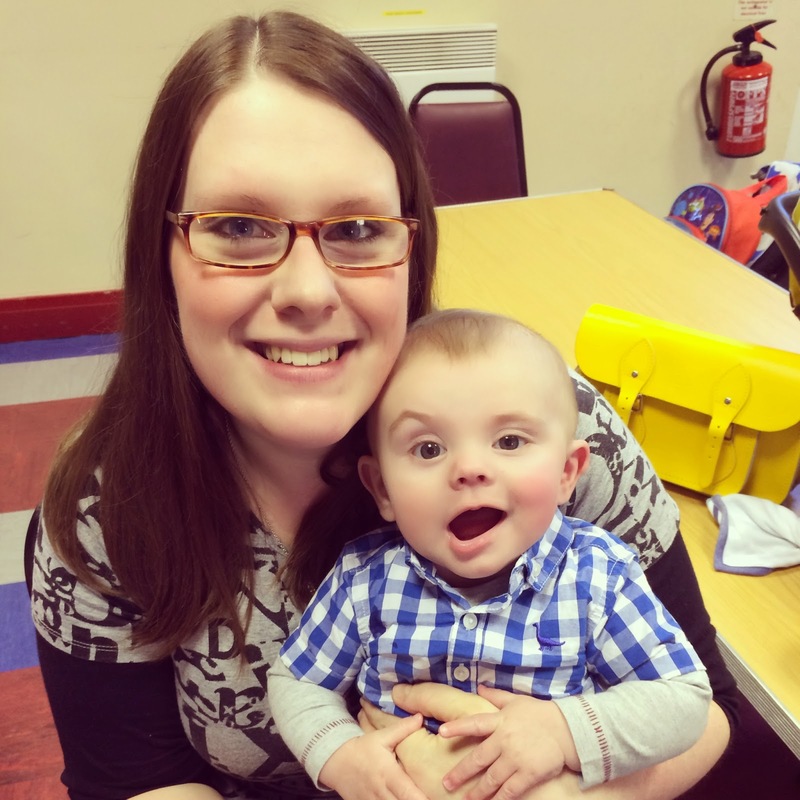 I can’t wait to meet some of the Mummy bloggers I’ve made friends with online since I began blogging such as Emma Shilton from Life According to MrsShilts. I’m also looking forward to networking with some of the brands that are attending, and having some adult time in London (one of my favourite places!) I also am very much looking forward to talking about and exploring the world I’m so passionate about: blogging. I love to dress up (any excuse) so I’ll probably whip out my favourite dress! Flat shoes or boots though! …Some great networking with brands and other bloggers. I’ve not been before, but I will definitely bring a notebook and pen to make as many notes as I can, I’ll bring a big stash of my business cards, and I will also be wearing my colourful blog brooch so everyone will know who I am and what blog I’m from! Oh you are going to love Emma! And I'm pretty sure there's plenty of paper provided. The brooch is a fab idea.